The last thing a company wants to hear is that one of their company’s key executive leaders is resigning in favor of a better career opportunity. If they’re unprepared, the decision to make a counteroffer might seem like the only option to resolve the situation and the only way to address the woes of a highly competitive executive candidate market. And they wouldn’t be alone in thinking so. 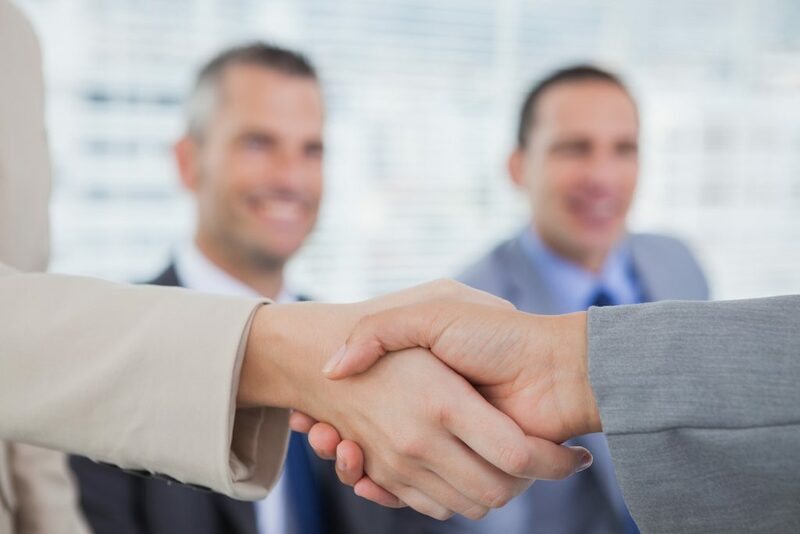 Although a thousand articles exist telling candidates not to accept counteroffers, the truth is we’ve seen a significant rise in counteroffers as well as the number of executive candidates who are willing to accept them. For companies looking to hire top talent, knowing how to ensure your candidates won’t be tempted by counteroffers is critical to successful executive hiring. We explore below. There is a seismic shift occurring in the marketplace. With the national unemployment rate sitting at a low 3.8 percent – which is significantly lower among executive ranks – and an astronomical 6.7 million positions open nationwide, the massive disparity between supply and demand of the most talented professionals continues to widen. Demand is higher than we have seen in years, and many top candidates are juggling multiple job offers as a result, holding the keys to their future careers in their hands. This challenge is made worse by the reality that a predicted 10,000 Baby Boomers are retiring daily. This is a generation that has built robust leadership skills over the years, occupying C-suite positions across the nation. Their retirement means that many companies are scrambling to fill open executive positions – studies show that 40 percent of companies aren’t prepared with a succession plan – and are often losing millions in shareholder value in the interim. In fact, one report reveals that the longer it takes to appoint a new CEO, the worse the company performs compared to its competitors. In light of these realities, some companies are prepared for the retiring executive. However, companies who do not have a bench of talent ready to take over the role of their unexpectedly departing executive will do most anything it takes to maintain their current talent. And that includes presenting handsome counteroffers. It’s easier – and faster – to put together a counteroffer than face the reality of losing key leadership and spending months recruiting an outside executive. What about the issue of loyalty? In the past, companies may have questioned an employee’s loyalty to the company, using the counteroffer as a stop-gap measure before being able to recruit someone new. But in the current market that is abound with attractive opportunities, few companies are taking offense at employees who are looking for greater things. In some ways, this is a healthy perspective; it’s critical to understand how your company measures up against market rates and benefits, accepting that when you fall short you’ll have to make amends. In short, the war for talent has created a new standard in the practice of counteroffers. It’s becoming increasingly acceptable to use them as a solution for retaining top talent against an intensely competitive candidate market. Simultaneously – and unfortunately for companies who are actively hiring – it’s also becoming more acceptable for employees to accept them without fear of stigma or of a negatively impacted reputation. If you’re the one hiring for open executive positions or seeking talent for your leadership bench, the rise of counteroffers means you have to be strategic. Though the companies presenting them are becoming less worried about loyalty, companies recruiting candidates who are tempted by counteroffers should be worried about their motivation. However, there are some preventative measures you can take. The most critical factor to ensure top talent puts your offer above the rest is to do your market research first. As the candidate market continues to get more competitive, it’s inevitable that salaries rise accordingly. Accepting this reality now will protect you against the cost of losing top candidates and leaving those positions open for far too long. How do your compensation packages compare to industry and regional averages? How do you sweeten the deal with bonuses, benefits, and retirement contributions? Although you want to avoid a money-motivated candidate, the fact is that talented leaders have worked hard to get where they are, and they expect to be well compensated in return. Having said that, it’s not all about compensation. Make sure you know exactly what motivates the type of talent you’re looking for. Executive leaders want to work for great companies where they can thrive and make an impact. They need the tools and resources that will enable them to succeed. They look for a culture and environment that will motivate their efforts. They desire the benefits and flexibility that will prevent them from burning out. How can your company stand out in these areas? How do you measure up against the market? Ultimately, it’s time to recognize that the stigma once attached to accepting counteroffers is becoming a thing of the past. Talented professionals and leaders are now realizing that they won’t necessarily be branded with a scarlet letter for taking that path. As such, recruiting and attracting executive talent requires a competitive, creative, and proactive approach, backed up by in-depth market insight and a nimble hiring process.